The creation of high quality plastic parts can be attributed to several essential elements. We have a dedicated team of plastic injection molding experts at ECO Molding who have a clear idea about how to create high-performing and reliable plastic parts. Like no others, we are a precision plastic component manufacturer who is able to provide high quality plastic parts that are complete and ready to be used immediately. In addition, we keep designing and tooling all our parts in house, and meticulously monitor each and every step in the manufacturing process. In the following text, we are going to share with you our main areas of focus in the injection molding process, which allow us to create the perfect high quality plastic parts for our clients, regardless of how complicated or uncommon the specific requirements are. To begin with, the design of a mold is of critical importance to make sure that the plastic injection molding process is able to produce plastic parts in a high volume, and with ideal productivity and uniformity. With the dedicated team of engineers at ECO Molding, who are good at the design of molds that ensure good quality plastic parts in an extremely efficient way, the risk of costly delays and material waste can be effectively eliminated. We now enjoy more than 15-year experience in the plastic injection molding field, and our expertise allows us the ability and ingenuity required to build customized molds of any types even in the most challenging circumstances. With the application of cutting edge technologies, such as CAD/CAM systems, our engineers work in close collaboration with the client to thoroughly understand the key requirements for each part, including functions, applications, dimensions, its relation with other components and the ability to withstand certain conditions, etc. Equipped with such expertise, our engineers are then allowed to identify the main design elements that are required to guarantee that the plastic injection molding process will go correctly as expected. To create the perfect bespoke mold for the client, we will take all the elements into consideration, including wall thickness, rib design, boss design, corner transition, weld line, as well as gate/vent arrangement. After the draft design is finished, we will initiate the design for manufacturability (DFM) analysis, so as to make sure that our design meets the highest possible standard of quality. Upon design finalization, our engineers will start the new mold building and testing process. If there is not an ideal mold, it will not be possible to produce a flawless plastic part. Therefore, we pay great attention to our mold making process at ECO Molding. Since mold making is a time consuming process and it has to allow for highest accuracy, this procedure always represents the most substantial investment that a company has to make in its manufacturing process. However, precise tooling always plays a critical role in guaranteeing a successful plastic injection molding project. Core Metal– All the molds we have made employ stainless steel as the core metal. Over the past decades, our molds have been proved to be able to withstand long production runs, while still meeting stringent tolerance requirements. Cavity Quantity– We seek to maximize the no. of cavities in a mold to ensure the optimal level of efficiency. Mold Base– We carry out cost estimation of the mold base, the part that holds all mold components together, including cavities, inserts and more on basis of its size, as well as the type of steel used, to allow for the desired level of customization. Core/Cavity Machining– Our molds are tailored for the client through specific arrangement of cores, cavities, ejectors and cooling channels, etc. Part Complexity– On basis of part complexity, we determine the mold cost by taking the surface finish of the final product, as well as the number of undercuts needed into account. In order to build a mold, we can reverse the design of an existing part, or construct a mold on basis of the drawing or CAD file that the client provides. With regard to tool making, our team makes use of several different types of equipment that includes EDM, CNC mills, lathes and grinding machine, to build the desired part. Upon mold creation, we are then allow to choose the appropriate resin for production. It is also of critical importance to choose the right material for the production of high quality plastic parts, so as to ensure a successful plastic injection molding process. Over the previous decades, the development of polymer technologies has allowed us a wider range of available resins, which leads to an increase in the applications of plastics in various sectors, as well as an improvement in available plastic materials with higher strength and durability. Our manufacturing experts possess the experience of working with a diversity of resin materials for different types of applications. We work in close collaboration with every client to identify key requirements for the resin, including the desired appearance of the product, e.g. texture, color and transparency, as well as the strength, flexibility, rigidity, chemical & environmental resistance, the regulatory requirements and the service life of the product. After the mold is created and the appropriate resin is selected, the production process can finally start. We now have several state-of-the-art presses in our factory, with different capabilities and performance for the client to choose from. On basis of mold dimensions, the number of cavities and the resin selected, our team of experts will select the right machine to use. Following that, we will perform a trial run to ensure that no defects will occur. 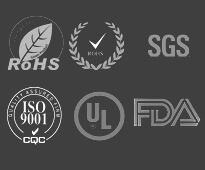 Once any defects are found, we will make corresponding corrections; if everything goes correctly as expected, we will go ahead with the production process, throughout which our team will continue to carry out quality monitoring, in an effort to ensure that all products manufactured meet the highest quality standards for plastic production. 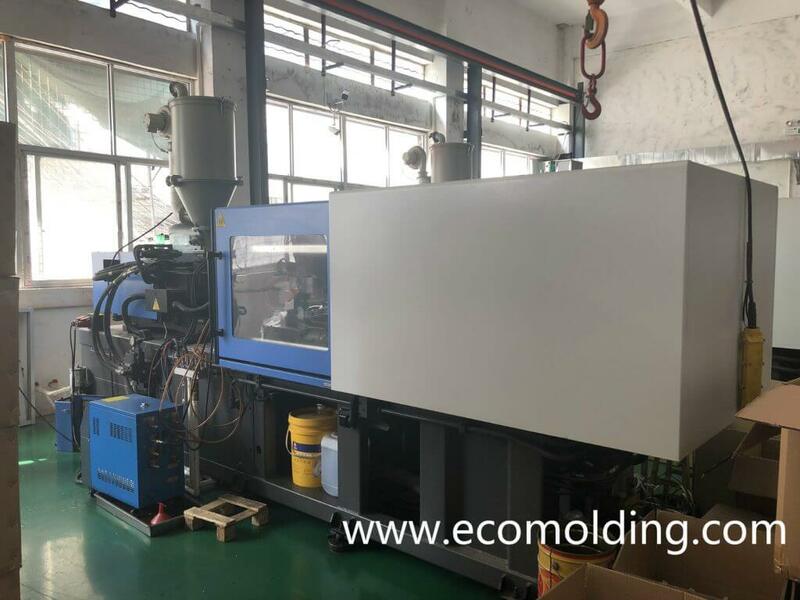 At ECO Molding, our team takes high quality as the first priority and it is our aim to offer the best quality products at the most competitive price.